Trout Haven took an incredible trip to western Montana this past week, and what an incredible experience it was! The open mountain ranges in the Missoula area are truly spectacular. 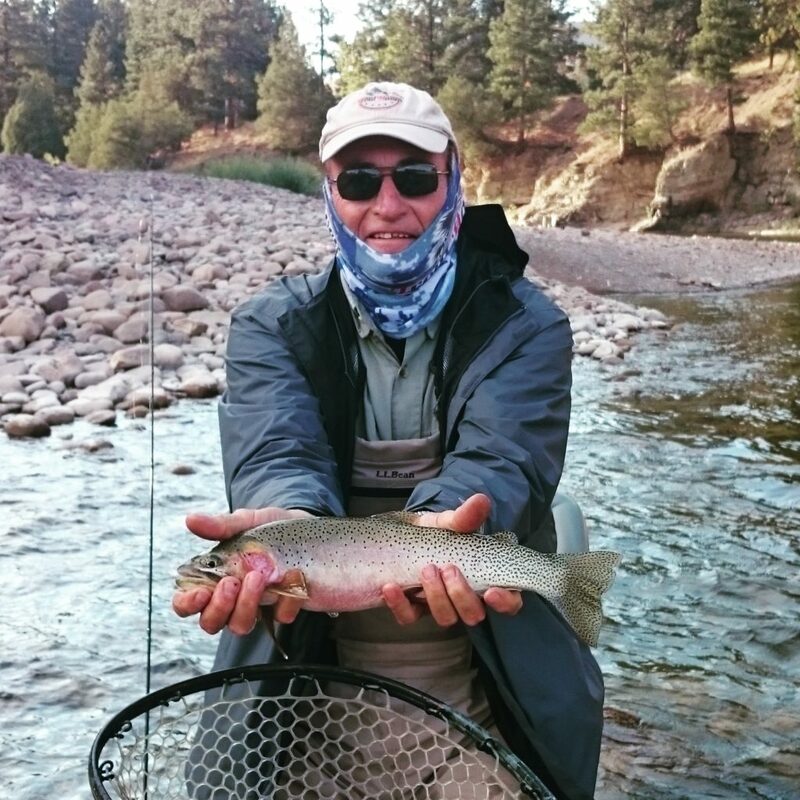 The trout are beautiful, wild, & hellacious fighters. On top of that, the population density of trout in the surrounding rivers is very impressive. 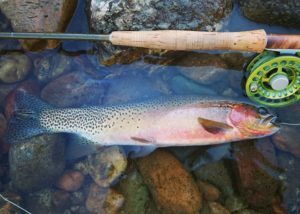 I was so impressed that I’m already planning for next year’s Missoula MT fly fishing trip. 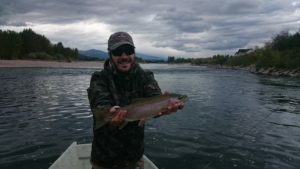 Our Missoula MT fly fishing trip centered around three days of drift boat fishing, two days on the Clark Fork of the Columbia River, and one day in the beautiful Blackfoot River gorge. 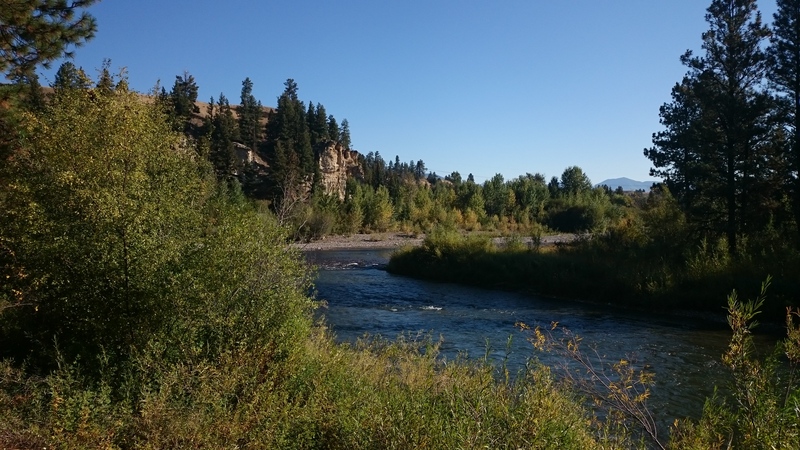 The Lewis & Clark expedition came across this very river on their return from the Pacific in 1806. The river is named after William Clark. The Clark Fork offered good dry fly fishing, with tricos, BWO’s, and Mahogany Duns. The Blackfoot fished well with a hopper-dropper rig; many fish ended up taking the hopper pattern. Before we went on this Missoula MT fly fishing trip, I had never caught a cutthroat trout. 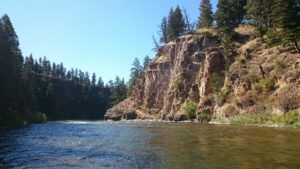 That quickly changed on the Clark Fork, and skyrocketed on the Blackfoot. These native Montana cutthroat have magnificent colors and big appetites. 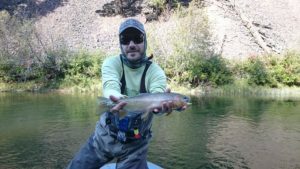 Even with competition from the Rainbows, the Cutbows, the Browns, and the Brookies, the native cutthroat trout seem to hold their own. 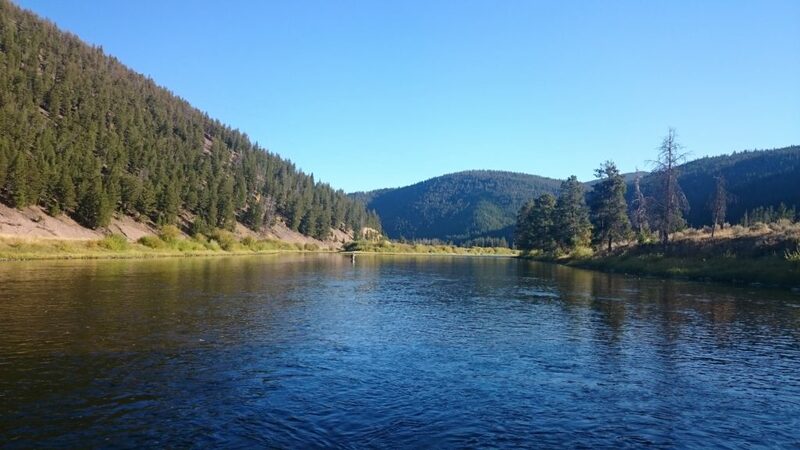 There’s only one way to believe the amazing fly fishing in Missoula, see it for yourself! 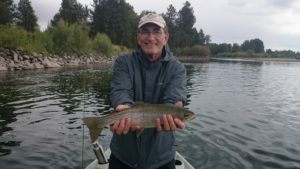 We are aiming to host two fly fishing trips to Missoula in 2019. Originally the plan was one trip, but it has nearly filled up already! If you and a buddy (2 anglers) would like to book our one remaining room with two queen beds, contact us asap! Or fill out the form below. The date is July 11 – 15. We will be staying in a beautiful private cabin in the woods, about 10 minutes from downtown Missoula. The cabin has top notch amenities and caters to fishermen.  The trip will include the same great all-inclusive service as all of our Trout Haven trips. Your booking will span five days: arrival on day 1, fishing on days 2-3-4, and departure on day 5.